Hi again, I am back for another day of Justrite Papercraft release! I hope you are just as excited to have us back as we are. 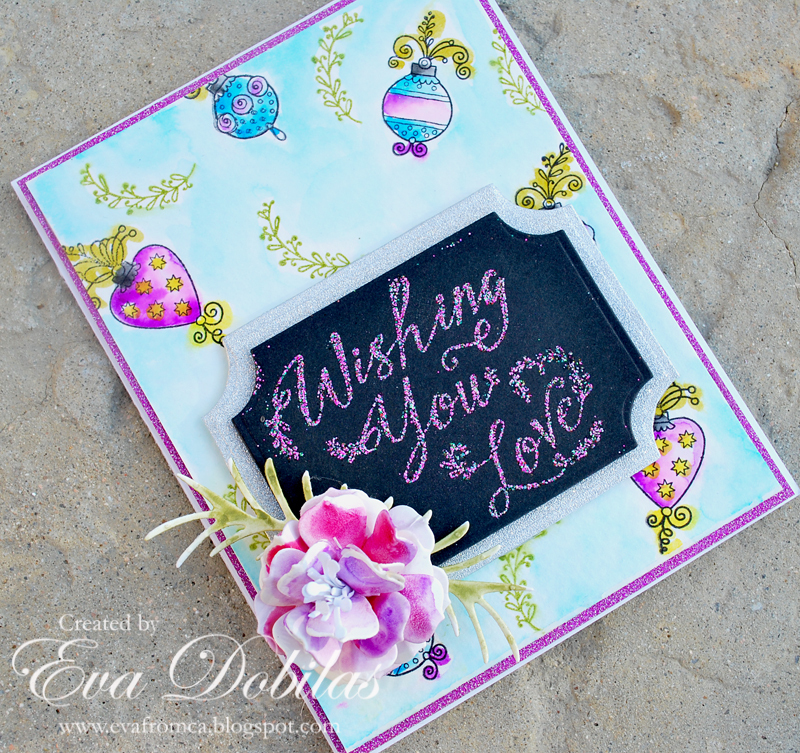 Today I am sharing a card using called Christmas Handwritten Sentiments Clear Stamp set. I love this set for the gorgeous font it uses and the cute fun trendy images it has. 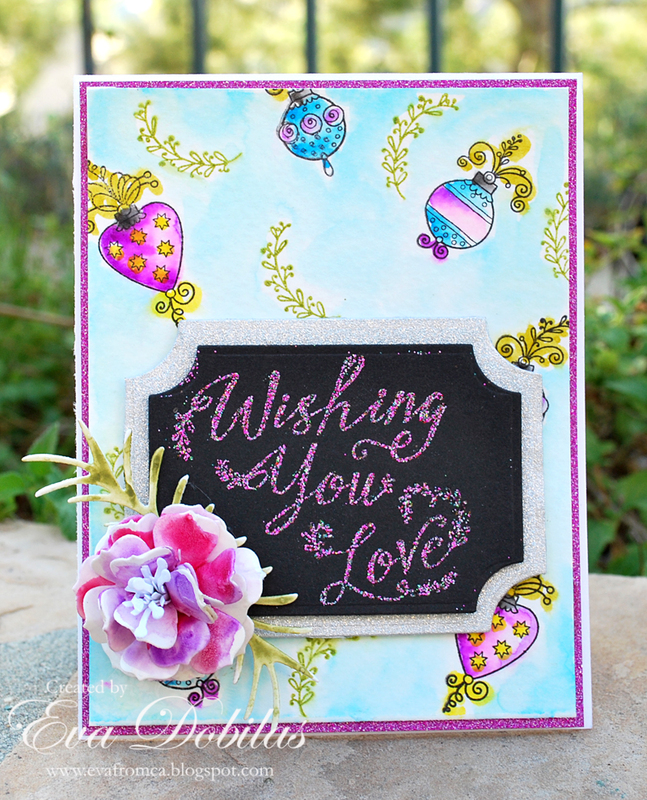 To create this card I cut an A2 size card out of white card stock. Than I cut a slightly smaller pink glitter card stock and laid it on the card front. Next I cut an even smaller size panel out of water color paper and I stamped my cute images on it and watercolored all of it. Next I die cut Coved Rectangle die out of black card stock and embossed my sentiment on with some pinkish glitter which is really pretty. Than I die cut a sightly larger Coved Rectangle die out of silver glitter card stock and layered them on top of each other and added it to my card front. I created my flower by die cutting a Gardenia Strip out of watercolor card stock and painted it with watercolor. Next I die cut the larger of the Pine Branches out of watercolor card stock and painted it in and added it to my flower. Hope you love this not traditional Christmas card as much as I do, with the sentiment, you can really use it for another occasion as well, don't you think?